Two kinds of seeds were planted at Regal Heights Healthcare and Rehabilitation Center on June 9 – vegetables and herbs in newly raised planting beds and a new, interactive relationship between the center’s residents and students at McKean High School. Following the installation of new planting boxes in May, the Planting Program paired students directly with residents to show them where to plant the seeds, how to cultivate the plants for long-term growth and, come harvest time, how to use the new produce in healthy and delicious dishes. Chef Lennell Preston and his culinary team at Healthcare Services Group were on hand to help and to get some new ideas for how they will use the garden’s bounty to prepare delicious new recipes for residents and visitors to enjoy. The new partnership with McKean students, cultivated by Plant Science and Biotechnology Instructor, Stephanie Matson, is a groundbreaking, new approach for the local community. Students that are part of the school’s Student Service Agricultural Program were looking for new ways to get involved in the community and to help others benefit from the plants they have cultivated for months in the school’s 2,000 sq. ft. greenhouse. 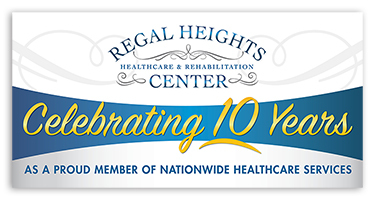 By connecting with Regal Heights’ Activity Director, Nico Zaballero, the relationship with the center was established. The students thoroughly enjoyed cultivating relationships with the residents on an individual level and look forward to visiting twice a month throughout the summer and fall to check on the garden beds and to educate the center’s residents and staff on maintenance and nutrition.